African Naturalistas: Say YES to low prices on African Naturalistas this Weekend! Say YES to low prices on African Naturalistas this Weekend! Hello beautiful people. How are we all doing? 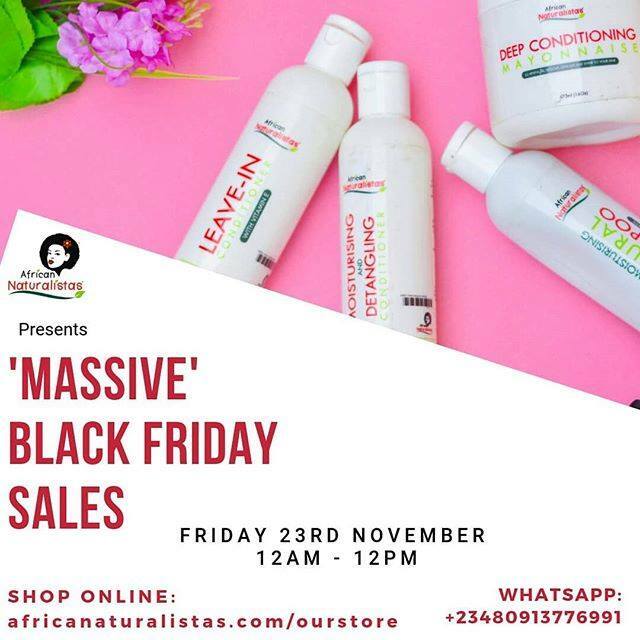 We are very excited to inform you that towards the end of this week, we will be having our biggest sales ever of African Naturalistas products. With up to 40% off prices, what else could you ask for? Yeah, we know our products are not expensive, but you can get them at even lesser prices this season. So no matter the method you prefer, we got you covered. It all depends on what is convenient for you. However, please note that due to the many products we have, you might still need to go to africanaturallistas.com/ourstore to familiarise yourself with the price slashes. We look forward to an exciting time with you this weekend.